We have worked on Holocaust Memorial Day for six years. 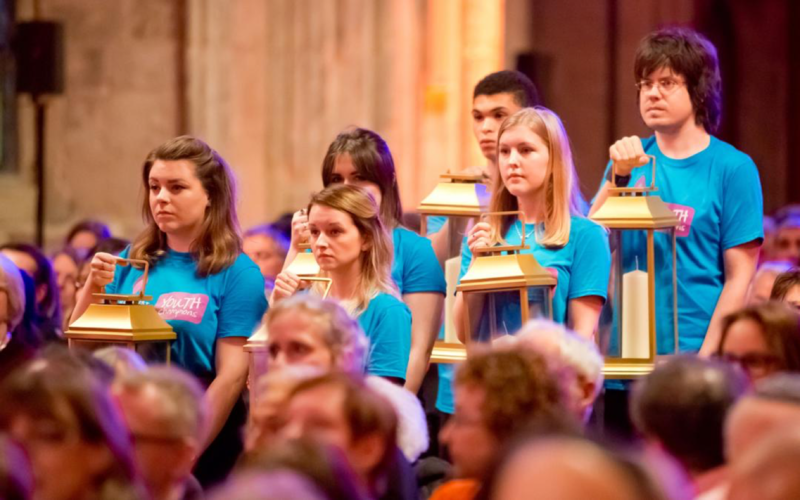 We handle the media for the Holocaust Memorial Day Trust, the charity responsible for the day, when hundreds of thousands of people come together to remember the millions killed in the Holocaust, Nazi Persecution and in subsequent genocides in Cambodia, Rwanda, Bosnia and Darfur. The commemorations were particularly high-profile in 2015, which marked the 70th anniversary of the liberation of Auschwitz. The national ceremony was attended by members of the Royal Family and political and religious leaders. Our job, working with Clarence House, Number 10 and the BBC, which televised the event, was media management – coordinating a busy media facility and generating appropriate coverage, respectful of survivors. Radio 5 Live broadcast their afternoon show from the venue while a host of national journalists reported from inside the ceremony. We have supported initiatives with high profile individuals and artists including Stephen Fry and Anish Kapoor, who designed a candle to commemorate the day. And we have commissioned research into topics such as hate speech and the experiences of survivors living in the UK. In 2018 we worked on an expanded brief. Alongside media management, we developed and delivered a new social media strategy, commissioning visual content and powerful films to run across all channels, and working with the Holocaust Memorial Day Trust and Twitter to create a special emoji. For Holocaust Memorial Day 2019 we generated more coverage than in any previous year. Research we commissioned showed widespread ignorance about the Holocaust. We generated 1,214 pieces of coverage with a reach of 141 million. The story appeared across the national and local media including the Times, BBC, Mail on Sunday, Sunday Express and Observer. Survivors and spokespeople featured on BBC Radio 4, Woman’s Hour, Sky News, BBC News, Radio 2, TalkRadio and LBC. We have significantly increased awareness of the Holocaust Memorial Day Trust and helped to put Holocaust Memorial Day firmly on the media’s agenda.